RARE OPPORTUNITY TO OWN A HALF ACRE ESTATE IN HYDE PARK! Pure luxury describes walking in the entry from a large front porch. Historic, yet completely renovated in 2014. From a bright and open entry you can see the gorgeous hardwood floors and moldings throughout. 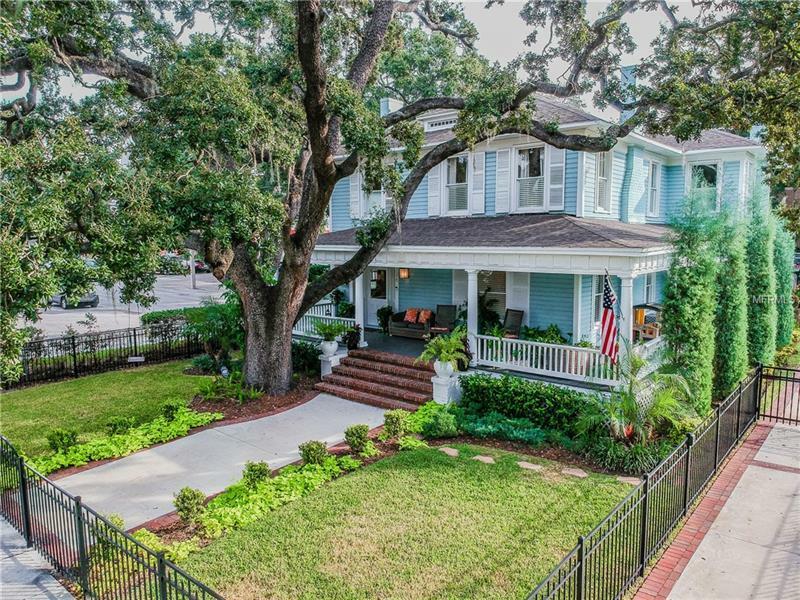 On a double lot, 140 x 142, the home is situated to embrace the green space, while inside feeling more of a estate than a home in the city, walkable to Downtown, Davis Islands or Hyde Park Village. The office/ parlor/ formal living room offers beautiful built-ins and original pocket doors allowing a quiet intimate space. In the dining room you will enjoy sitting or entertaining overlooking the lush yard. The kitchen has island seating, the Chef in you will enjoy this lovely space with Subzero and Wolf by your side. The kitchen, dining room design is perfect for quiet evenings or hosting. Sonos technology and Home Link systems installed as well as speakers inside and out. Beautiful windows with plantation shutters are throughout. The restored staircase leads to four bedrooms upstairs that have custom closet doors and closet systems to maximize space. The elegant owners suite has one of the four fireplaces in the home, two closets, original restored claw foot tub, separate shower and dual sinks with large counter space. Many more updates, a detailed brochure is available! Both lots are zoned RO1. Sellers have approved plans for 3500 sq. ft. structure and pool. This is a unique and rare property in the Hyde Park area.